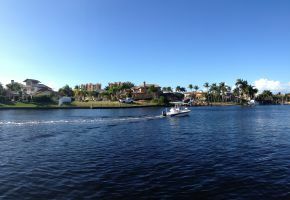 The waterfront community of Tarpon Point Marina is a luxury development built around - you guessed it - a huge marina located in Cape Coral. 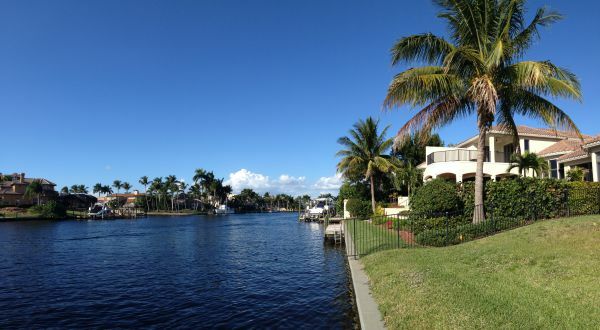 One of the finest and most desirable neighborhoods in the city, it offers luxury homes and condos with water views, boat access, and all kinds of other fantastic amenities. 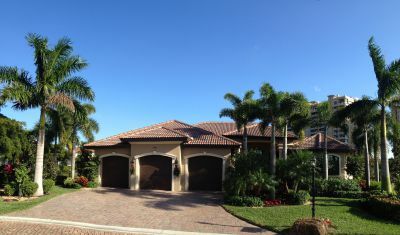 The community has a clubhouse, fishing pier, walking trails and jogging paths, and two tennis courts. Every kind of restaurant and shop can be found around the Marina itself, offering fine dining just steps from your home. Tarpon Point's resort-sized swimming pool has a separate in-ground twelve foot spa, and a 25,000 foot sundeck all around. This is luxury resort living at its best. 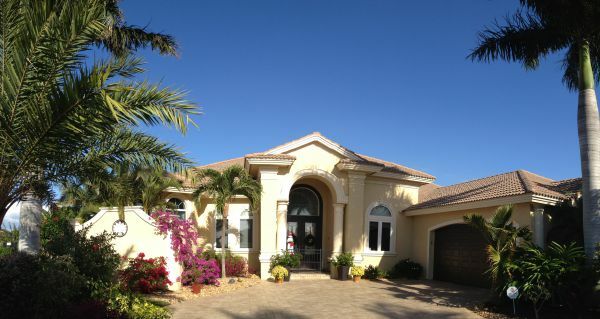 The most exclusive and luxurious part of Tarpon Point would be the waterfront mansions of Tarpon Estates. These million dollar and mulit-million dollar estate homes are fit for most Hollywood royalty...with water views, private boat docks. outdoor kitchens and private pools, marble tiled floors, designer kitchens, and every other luxury appointment you could imagine. Most are on oversized lots that make the most of the views and water access. Some homes have lakefront views, and the most expensive are located on the Caloosahatchee River. The Gulf Coast beach of Fort Myers is nearby as well. This is a gated community, of course, with security and privacy valued and provided. If you'd like to tour one of these marvelous homes, just give me a call and I'll show you what the luxury lifestyle is all about. 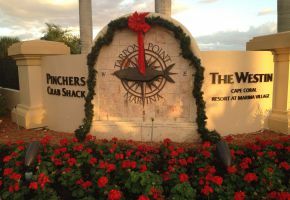 You might also want to see the page for Tarpon Landings and Tarpon Gardens Condos.